Students test out the HTC Vive virtual reality system at HUBweek. Learning is worth leaving the house for. Whether you’re interested in science, history, politics, philosophy, art, music, theater, film, technology, cooking, or sports, there’s something happening at Harvard this fall for you. Boston’s brightest innovators will showcase their ideas at HUBweek, a four-day festival (Oct. 12-15) at Government Center that is co-sponsored by Harvard and features speakers such as Atul Gawande, Malcolm Gladwell, and Juliette Kayyem, art exhibits, late-night parties, film screenings, and demos by local startups, tech companies, labs, and universities. If you didn’t get seats to Brian Greene’s sold-out “Space, Time, and Reality” lecture (Sept. 19) and you’re looking for help wrapping your mind, or hands, around the cosmos, the Harvard-Smithsonian Center for Astrophysics hosts monthly observatory nights and on Nov. 16 will demonstrate VR technology that allows you to “hold a dead star in your hand.” The Museum of Natural History’s exhibit “World in a Drop” on Oct. 16 magnifies another universe seldom explored, but on a different scale, revealing the intrinsic beauty of microbes through cutting-edge photo technology. 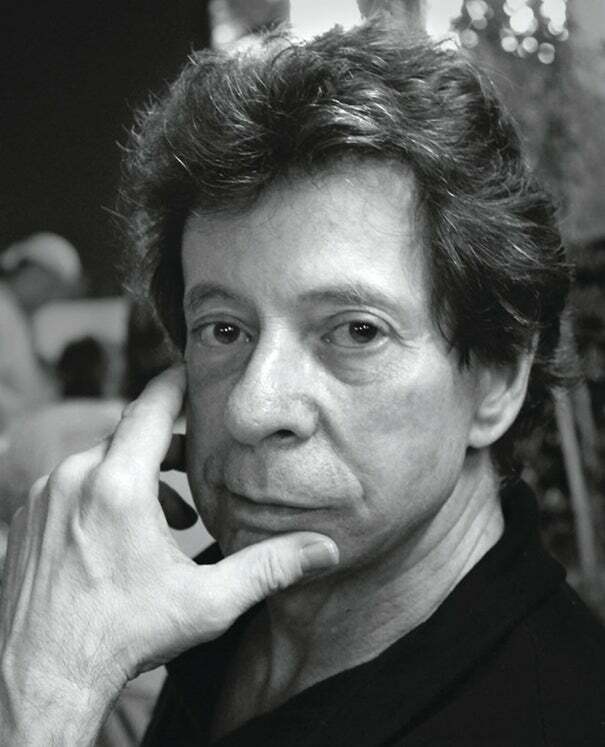 Richard Price, a novelist and screenwriter whose credits include “Clockers,” “The Color of Money,” and “The Wire,” will take part in a discussion on Oct. 25 with prison-reform educator Edyson Julio, moderated by novelist Claire Messud, about his recent HBO series “The Night Of.” The show tells the story of a young murder suspect imprisoned at Rikers Island while awaiting trial. This talk is a companion event to a one-on-one Mahindra Humanities Center writers forum with Price and Messud on Oct. 24. A Harvard Art Museums program allows visitors to request pieces of art from the Fogg, Busch-Reisinger, and Arthur M. Sackler museums not currently displayed in the galleries for special viewings in a conference room. The Art Study Center welcomes walk-ins on most Mondays from 1 p.m. to 4 p.m. An appointment is required outside of those hours. Also, to complement the American Repertory Theater production of “WARHOLCAPOTE” (through Oct.13), the center is featuring prints from Andy Warhol’s portfolio “Marilyn Monroe” (Sept. 18 and 25, and Oct. 2). 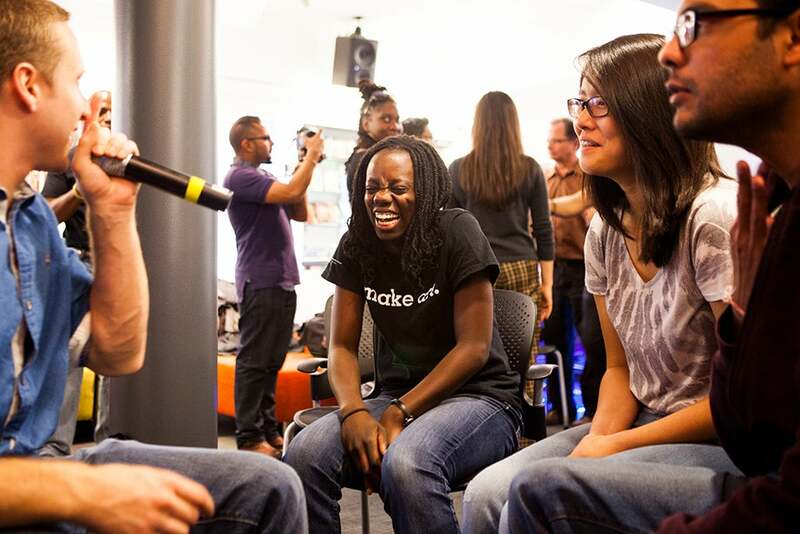 Music fans can get their nerd on this semester through a free beatboxing class Oct. 21, co-sponsored by Learning from Performers at the Office for the Arts and the Harvard Ed Portal; an Oct. 11 colloquium on the legacy of Nasir Jones at the Hutchins Center’s Hiphop Archive & Research Institute; a minimalist music film fest (through Sept. 30) at the Harvard Film Archive highlighting scores that inspired the likes of Brian Eno, the Velvet Underground, and Sonic Youth; and an ethnomusicology series launching with a Sept. 26 talk titled “Grooving Heavy, Dancing Drunk,” which will examine the relationship between traditional music, dance, and food in the local Greek community. The Brian Honan 5k road race on Sept. 24 winds through 3 miles of Allston and Brighton and supports organizations such as the YMCA, American Cancer Society, and the Allston Brighton Community Development Corporation, among others. On Oct. 14, residents of Allston-Brighton and Cambridge will get free admission to the Harvard-Lafayette football game, with lunch from the concession stands included. There’s no shortage of family friendly events this fall. 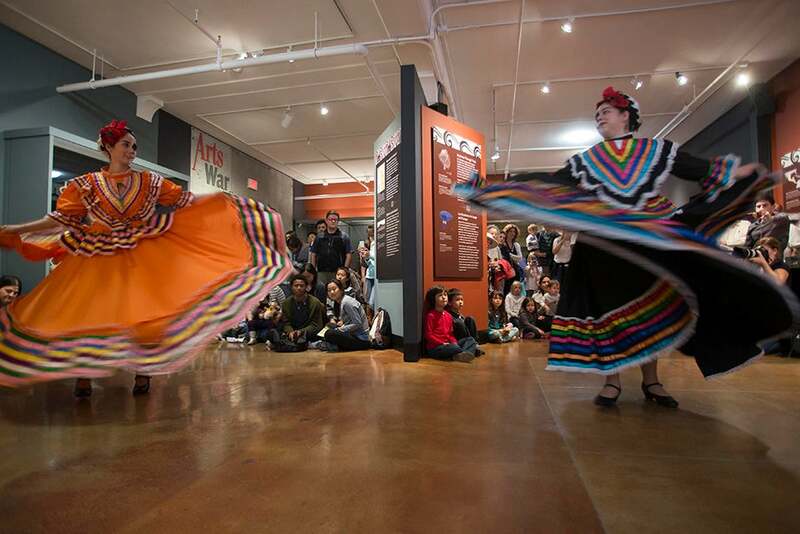 For the Peabody’s Day of the Dead celebration on Nov. 4, the museum will be festooned in colorful decorations and alive with the sounds of the Harvard mariachi band. Ballet Folklórico de Aztlán de Harvard will perform. Children are invited to craft sugar skulls ($6), papel picado, and cempasúchil flowers, and compose a message in any language to place on the Día de los Muertos altar. 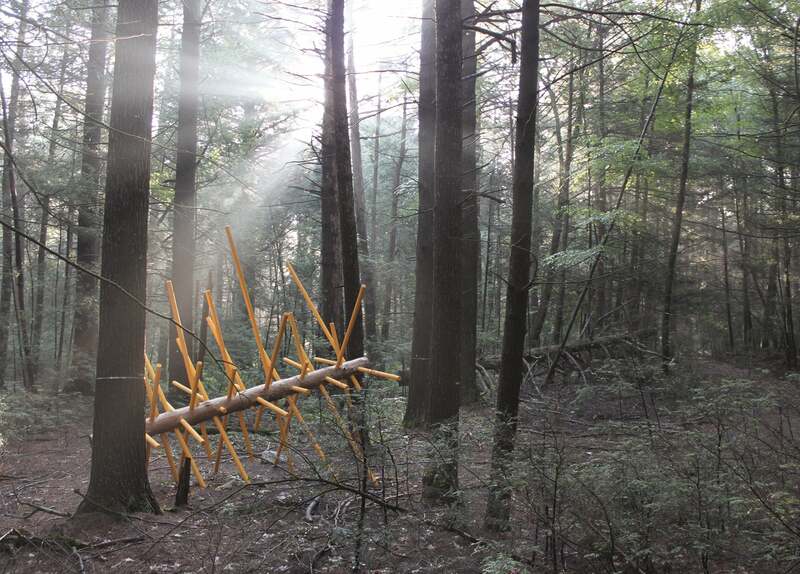 Exchange Tree by David Buckley Borden is one of 12 Hemlock Hospice installations at Harvard Forest. If you’re looking for a good excuse to commune with nature, the new Harvard Forest art installation (opening reception Oct. 7) spotlights the vanishing Eastern hemlock. History and art intersect in Houghton Library exhibits on the Spanish-American War (through June) and Russian Revolution (through Dec. 21), as well as a writing workshop keyed off the play “Men on Boats” about the 1869 Powell Geographic Expedition on the Colorado River (Sept. 27). See the Gazette calendar for complete listings. 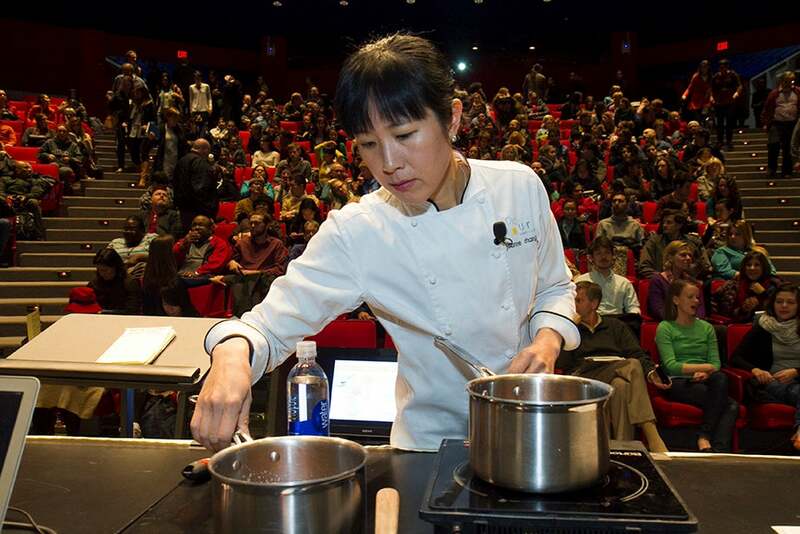 HUBweek showcases Boston’s brightest innovators. A team from the New England Association of Schools and Colleges is set to visit the University in late October as part of the long-term Harvard reaccreditation process.